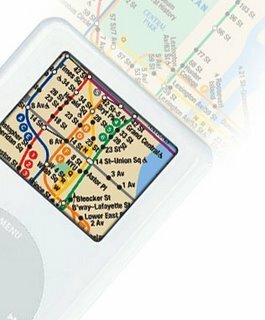 Isubwaymaps tells you how to put some subway maps onto your iPod. Yes, you need download subway maps ( different countries & cities ) from its site, then follow instruction to set up map on your iPod. Next time. when you travel to these cities (New York, London, Hongkong, Tokyo...) you can use your iPod to check local subway map.